Thousands of people in Greece have been forced to evacuate their homes after major wildfires continued for their third day in the suburbs outside of Athens. 10,000 people were evacuated out of one town, Agios Stefanos, located 23 kilometres from downtown Athens, after the flames headed for the area. All residents were ordered to take the main highway to Athens. A state of emergency was declared in Greece after major wildfires started burning out of control on the northeast edges of Athens. Fire crews, aided by water-bombers and helicopters, have been dispatched to the affected areas to try to contain the fires. Pericles Panagopoulos, the president of Greek ferry operator Attica Group, which runs Superfast Ferries, was abducted near his home in Athens on Monday by three men armed with Kalashnikov assault rifles, as he was being driven to work in a coastal suburb. No injuries have been reported in the incident, which is being investigated by counter-terrorism police. The riots in Greece that started on December 6, have entered their fourth night. These are the worst riots the Hellenic Republic has witnessed in decades. The riots were triggered when Alexandros Grigoropoulos, a 15-year-old student, was shot and killed by police. The police say that Grigoropoulos was throwing a bomb at them when they fired. The Greek riots started on December 6 when a Greek Police special guard, Epaminondas Korkoneas, shot and killed 15-year-old Alexandros Grigoropoulos (Greek: Αλέξανδρος Γρηγορόπουλος) in the Exarcheia district of Athens, following an altercation between police and anarchist youth. The confrontation resulted in wide-spread rioting across the city, with hundreds of demonstrators engaging riot police with Molotov cocktails and damaging property. Islamic militants have vowed to fight pirates holding the Saudi Arabian oil tanker Sirius Star off the Somalian coast. The militants are angered over the seizure of a ‘Muslim’ ship. 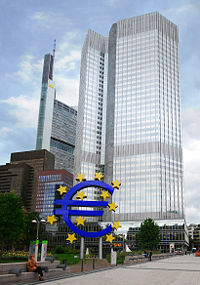 The Eurozone is now officially in a recession, due to the recently released figures showing that, in the third quarter of 2008, the economy shrunk by 0.2%. For a recession to be official, the economy must have shrunk for at least two consecutive quarters. This is the case as the Eurozone’s economy also shrunk by 0.2% in the second quarter of this year. Howard Archer, the chief European economist for Global Insight commented on these results. “Not only did the third quarter contraction in GDP confirm that the Eurozone is now in recession, but latest data and survey evidence indicate that the fourth quarter is likely to see a sharper fall in GDP as the financial crisis bites harder,” he stated.